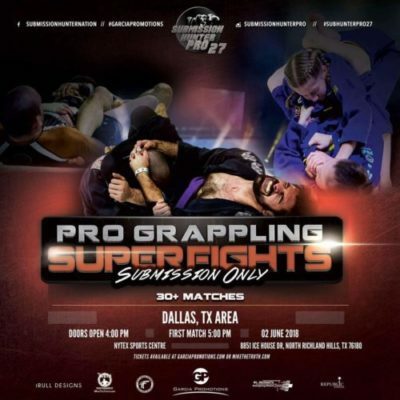 Submission Hunter Pro returns to the Dallas, TX area for Submission Hunter Pro 27. The event takes place on Saturday, June 2 at the NYTEX Centre in North Richland Hills, TX. Purchase your SHP 27 tickets here at MikeTheTruth.com, competitors will receive credit.